Mad for dogs and crazy for Mad Men? Yep, us too. So in honor of Sunday night’s highly anticipated season premiere, we’ve cast our own version of the hit show, with dogs as the main characters. Ok, so we’d call it Mad Canines, but if breeds were actors, here’s who we’d put in the starring roles. 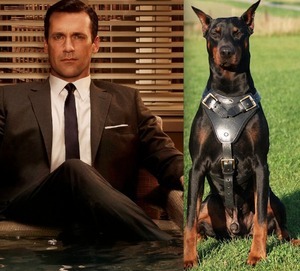 In the role of Don Draper, the Doberman Pinscher. In the role of Peggy Olson, the Tibetan Spaniel. In the role of Pete Campbell, the Pug. In the role of Betty Draper, the Cocker Spaniel. 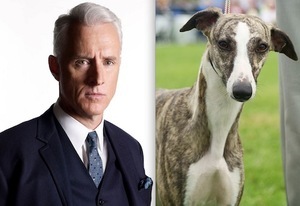 In the role of Roger Sterling, the Whippet. 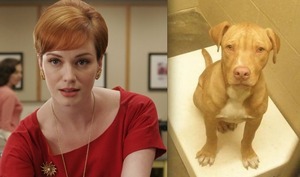 In the role of Joan Holloway, the Pit Bull/Vizsla mix. And in the role of Lane Pryce, the Boston Terrier. Got better ideas? Post your suggestions below.